Business cards are the oldest yet most effective marketing tool for any business. They are not only your contact information’ but an extension of you and your business. 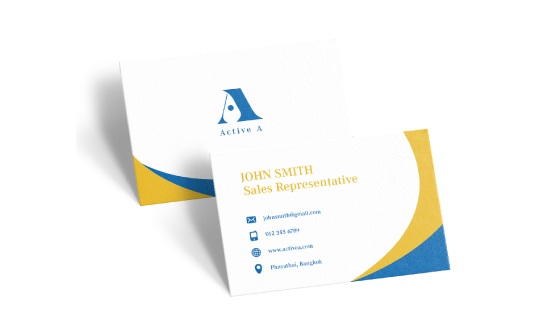 By printing well-designed business cards you get a professional and inexpensive marketing material to showcase your brand to partners or potential customers, enhancing brand recognition, credibility, and trust. 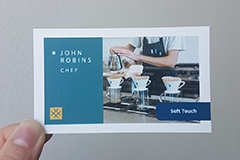 Gogoprint offers a variety of business card printing options and combinations so you can customise it the way you want. 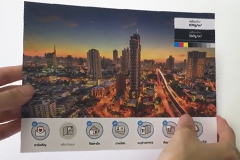 Choose between different formats and paper types, and add a nice finishing touch with glossy or matte lamination. Place your order today to enjoy a free & fast delivery at your doorsteps. My experience doing business here was really extraordinary. Firstly, the website allowed me to get quotations quickly. It was really affordable too for such great quality of products and quick delivery. The customer service was prompt with replies and was patient with my enquiries. Thanks for the business, all the best! Helpful service and good quality products ! Though hiccups with the artwork to be printed was faced (did not read the details!! hurhur), printing and shipping was done excellently on Gogoprint's side. Absolutely recommended and really, the fast turnaround is probably the best thing ever! No fear for this one ! User friendly website, Excellent quality, Fast delivery to SG & great price. Didn't expect such quality output despite me not giving the right print size for my namecard. Simply love Gogoprint service & will recommend to my circle of contact. Btw, it's not a scam website if you have 2nd thought about doing overseas transfer. Good customer service. Had some problems with refunds but Selina managed to get it done for me. Very quick replies on email. Website very easy to use and rates are so much cheaper than others! I had ordered my namecards and boy was the delivery faster than expected. The quality is good and color was well balanced. Thanks gogoprint!